Sometimes the "Smart Identification" functionality may become a pain for the automation scripts especially if you have dozens of test scripts. 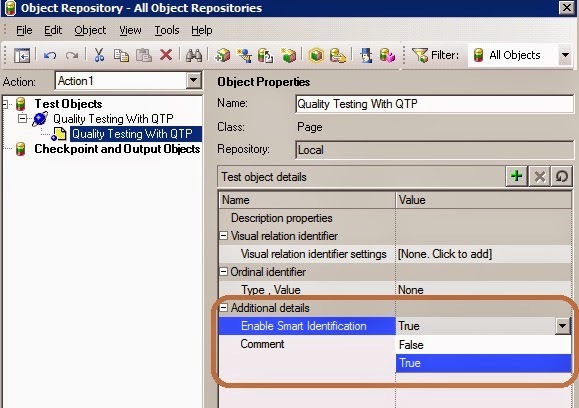 I prefer not to use this functionality because of slow identification and sometimes QTP mis-identifies the objects. For me it is better to get an "Object not found" error instead of waiting for the smart identification to find correctly desired object. 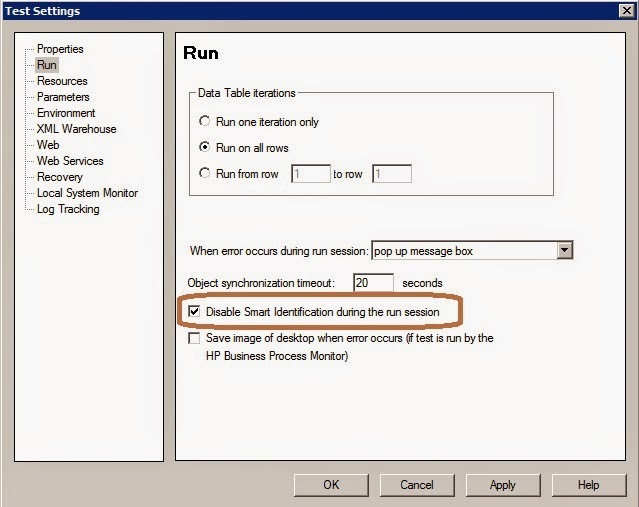 As far as i know there are 2 ways to disable smart identification from the QTP menus. From the object repository. You can disable it by selecting for desired objects. From the File -> Settings -> Run menu. You can disable it for all objects. Adding following lines into that function disables smart identification for all automation scripts.